After deciding that rail siding would be the perfect addition to your logistics process, you’ll need to find a great warehouse. You’re not alone. Many people appreciate the benefits that railroad transportation offers, such as its cost-effectiveness, efficiency, eco-friendliness, and confidence that shipments will always make their destination. This low-speed section off of the main line will also widen your profit margins by increasing productivity and speed of operations. However, now that the easy part is over, you must choose the right warehouse that offers quality rail-siding transportation. After all, this facility will be managing your freight and logistics to ensure the proper accounting of inventory. Many factors must be taken into consideration. But how do you make a decision? 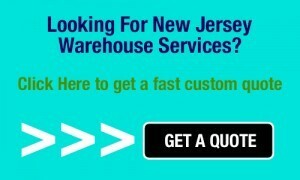 Your future warehouse must be in a location that makes sense for your company and clients. Think about what region of the country most of your customers are based and go from there. Having a warehouse facility containing your products in close proximity to clients ensures fast delivery and overall customer satisfaction. Plus, you’ll save on fuel costs and overall transportation costs. Also, having your carrier close to the storage facility will ultimately save you time and money as well. Maybe your goods need special storage requirements like strict temperatures or fire protection. Is the building you’re looking at capable of handling these regulations? Perhaps your unique products need to be handled in a variety of different ways. Can this facility control the needs of different products? You should also take into consideration the surrounding land of a warehouse facility. For instance, there might be streams, lakes, or ponds nearby that may cause an issue down the road during adverse weather conditions. Always ask questions so you’re prepared! See what type of storage solution a facility offers like racked or bulk storage. Hopefully it will align with your shipment needs. Along with rail siding, does the warehouse offer transloading to ease up processes when necessary? Next, consider contract and leasing opportunities. If you carry seasonal products, choose a facility that provides seasonal storage. Likewise, if you need to change square footage because of shipment ebbs and flows, see about the building’s flexibilities. It’s important to keep in mind those working at the facility, too. Make sure you understand fully how the warehouse works internally, then you can see if it matches your labor needs. For example, see what kind of shifts the warehouse offers and if it is open 24 hours, along with the number of employees available who understand the logistics system. This remains a major factor in any supply-chain operation. Communication needs to be clear and understandable between you and your third-party logistics company to prevent mishaps and delays on shipments. This ensures consistent brand reliability to customers. Staff also should be fully trained on customer service to maintain a smooth work flow. After all, 3PLs should be adept at taking the confusion out of the supply-chain process, meaning they need to be accessible and knowledgeable all the time. 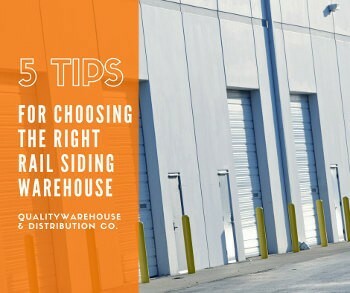 Finding the right rail-siding warehouse might seem daunting and challenging at times, but the time you invest will shine through your supply-chain operations. In other words, all of the benefits of rail siding paired with a great warehouse that has your best interests at heart will lead to a solid partnership with heavy revenue gains. So take our suggestions into consideration as you begin your search.